Among its stated priorities, preservationist organization hopes to spur designation of items on Landmarks’ calendar that have been long under consideration without being brought to a vote. On February 3 2015, the Historic District Council held an event where it released its annual “Six to Celebrate,” identifying preservation priorities for the coming year. Candidates for the list are submitted by community organizations, and evaluated by HDC for historic and architectural merit, as well as the threat level to the neighborhoods from development. While previous lists have focused on specific neighborhoods that HDC finds to merit preservation attention, the 2015 list includes the City-wide item “Landmarks Under Consideration.” Spurred by a proposed de-calendaring that would have removed 94 potential individual landmarks, and two historic districts from Landmarks’ calendar, HDC stated that it would strive to build public awareness and support to move the designations forward, and also to work with Landmarks to help it manage its backlog. Other items identified by HDC included East Harlem in Manhattan. The neighborhood became a focal point of Puerto Rican culture in New York following waves of mass migration in the 1960s. Among its features warranting preservation include the murals painted on walls throughout the area, which have deep roots in Latin American tradition. Individual landmarks previously designated in the area include the 125th Street Branch of the New York Public Library and Public School 72. HDC commended local preservation group +Partners in its selection of Long Island City, Queens as one of the Six to Celebrate. The recently formed organization has galvanized around the struggle to protect the Long Island City Clock Tower, built in 1927 and overlooking Queens Plaza. The organization also intends to survey and document the area’s industrial architecture. Manhattan’s South Street Seaport has been in the spotlight due to efforts to redevelop Pier 17 by the Howard Hughes Corporation. The Seaport is “the oldest intact neighborhood in Manhattan,” according to HDC, and “faces major development pressures.” The South Street Seaport Historic District was designated in 1977, and in 1989 an extension was also designated. In Brooklyn, HDC identified Crown Heights North for its continued attention. Two historic districts have been designated in the area in recent years, but HDC argues that numerous examples of “an astonishing variety of brownstones, row houses, wood-frame structures, free-standing mansions, and churches” remain unprotected. 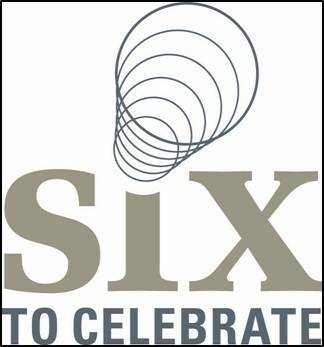 2015 Six to Celebrate, Historic Districts Council (Feb. 3, 2015).